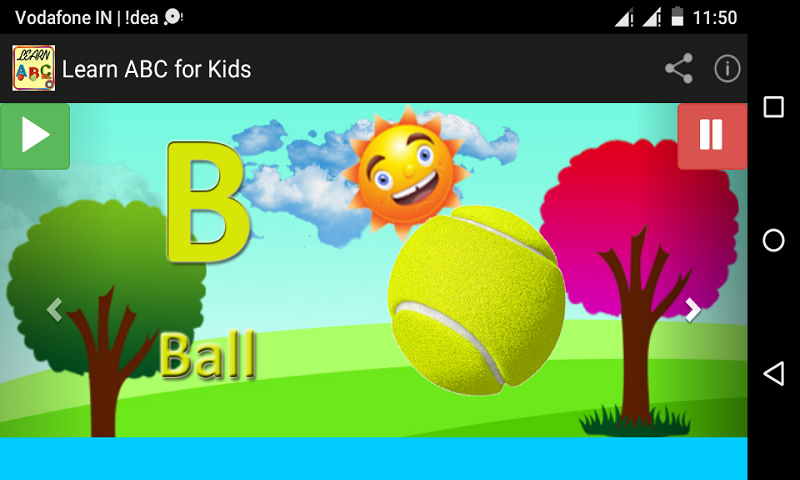 ABC for kids is a fun and education application, which is designed to educate as well as to entertain, help children learn English quickly and effectively. With this intelligent game, your kids will remember new word better and pronounce correctly, develop their memory skills. With colorful and attractive image, this educational app certainly makes learning more fun for yours babies, develops children of observation, concentration. Being so much fun, it also will keep their attention for a long time. 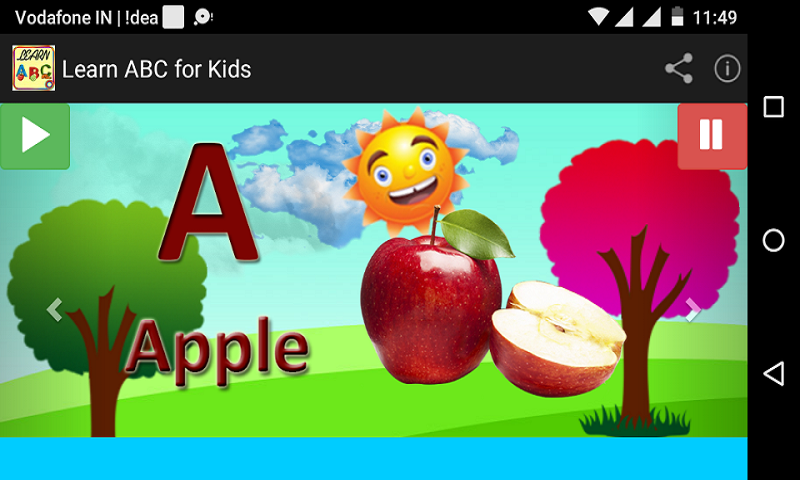 Learn ABC for Kids is an educational app for preschoolers or toddlers to learn English alphabet from A to Z. 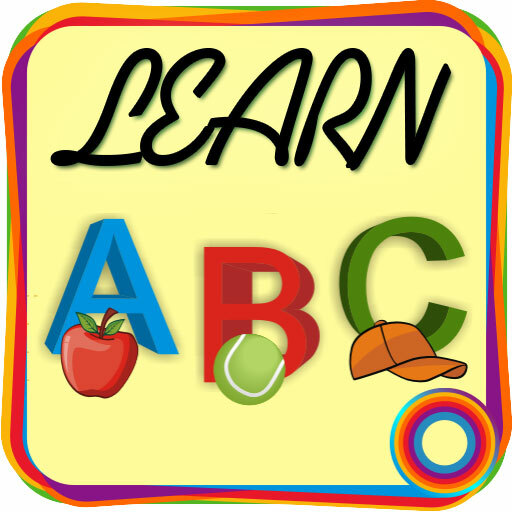 Kids learn the alphabet how to read it and how to write. 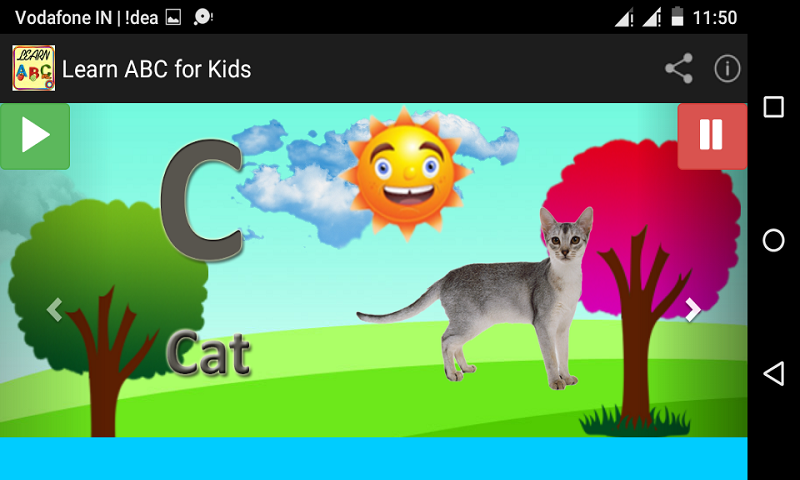 Your kids will enjoy playing with this app and will learn alphabet. * Kids learn alphabet with sample words with pronunciation. For moms and dads it is the best way to help their kids learn the letters, while for kids it is a new playground instilled with entertainment and happiness! The game is full of bright colors and amusing virtual toys for education of children of preschool or kindergarten age. Grandmother, mom, dad, and sister everyone can be your toddler’s playmate in obtaining the basic skills of reading and drawing, in finding out how to write letters and pronounce vowels, consonants and syllables. Learning the ABCs is fun and easy with this teaching tool. Alphabet flash cards help children develop memory and listening skills. Children will get to know phonics and be able to connect letter sounds with objects, for example: A is for Apple. We love to hear from parents – and from children, too. To tell us how we made a difference in your child's education or, please rate our app and post a comment.